Web-service "Goga" is designed for automatic classification and routing of e-mail requests to the support line with the help of machine learning algorithms. Participation in the development of the Internet Bank "Business Bank" and "Gazenergobank". Development of new functionality for corporate clients users: Internet acquiring, accounting, trade acquiring, salary project, corporate cards, event feed. Chat-bot "Gosha" in response to the user entered a request to the support line automatically generates a response to the user. The answer is to determine the service, the operation that must be performed to meet the user's request and sends the request to a specialist. Development of an automated control system for railway transport. The system is implemented as a web application running in real time, and consists of modules: reporting, directories, forms, administration. 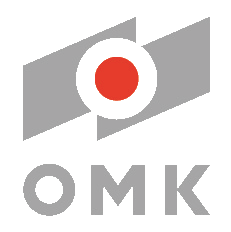 The application is available to users of the corporate network "OMK". Cloud service to automate the collection of bids and examinations. 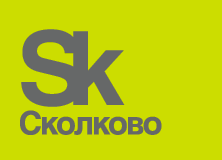 The service is implemented in the SKOLKOVO Foundation and the Fund for the promotion of small enterprises in the scientific and technical sphere. The solution for the classification of images of iron scrap types, which includes combinations of various architectures of convolutional neural networks and machine learning methods. Mobile system of accounting of goods chains from receipt to the warehouse to shipment to the buyer and after-sales service using QR codes. Cloud service for remote accounting and tax accounting. Work with clients is conducted through the developed web portal and mobile clients on Android and iOS. Application for information on the construction process of homes, view floor plans and photos of the apartments, and the communication between customers and managers of the company; for the tenants of the available functions: deposition utility services and other technologies a “Smart house”. Booking service for cottages, guest houses, huts and other small accommodation. The service was developed in cooperation with the Finnish company Karelia Expert Matkailupalvelu Oy. System mining trading companies methods data clustering, finding associations, classification, and time series analysis of data from the OLAP cube. Service for forecasting of financial and economic activity of the enterprise on the basis of the prepared system-dynamic models and a technique of system of the balanced scorecard (strategic cards). We have our own product line for machine learning, they are implemented in the largest Russian company and we make custom projects. We are members of the industry Union neural Network, won and successfully implemented R & d From the Foundation for innovation, won the competition Russian Startup Tour. 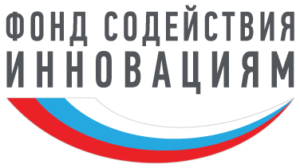 Technomedia LLC., Karelia, Petrozavodsk, Vatutina st., 30.